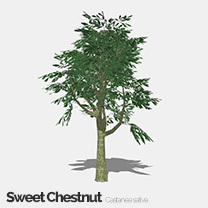 Sweet Chestnut, is a species of flowering plant native to Europe and Asia Minor, and widely cultivated throughout the temperate world. A substantial, long-lived deciduous tree, it produces an edible seed, the chestnut, which has been used in cooking since ancient times. 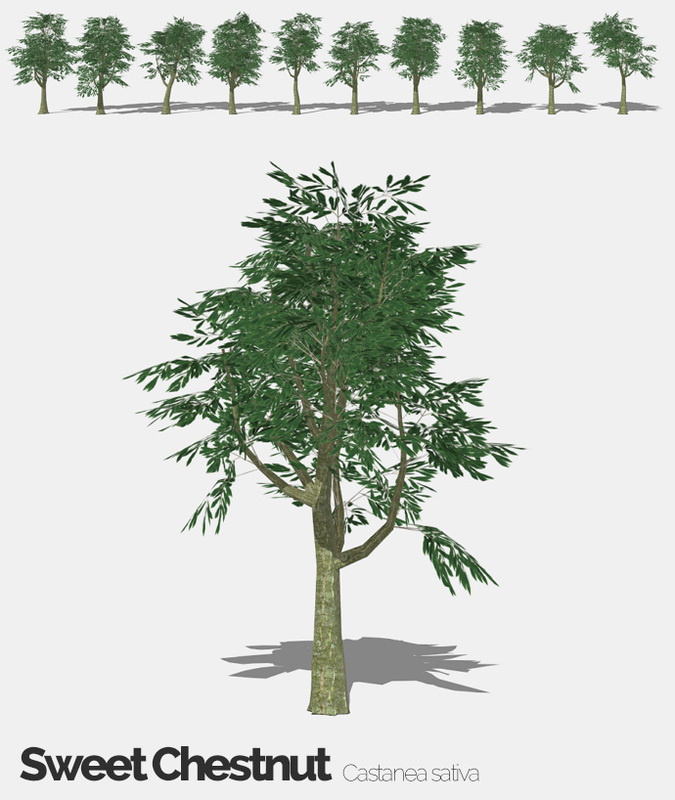 This pack contains 10 Sweet Chestnut SketchUp models which are lo-poly and optimised to work well in SketchUp.